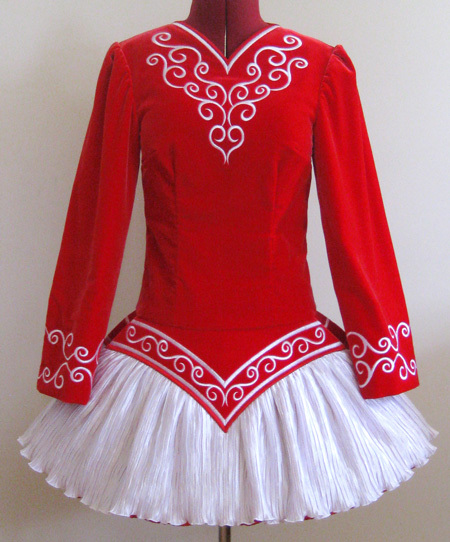 Centre front dropped waist to hem: 12"
Centre back neck to dropped waist: 19 ½"
Total back length (top of zipper to hem): 31¾"
Bright red velvet bodice and sleeves with gorgeous white feminine embroidery on front and back bodice, sleeves and dropped waist band. 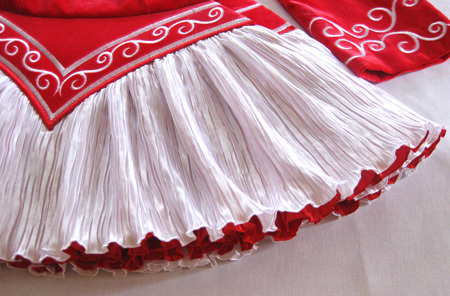 Loose pleated skirt constructed from a top layer of bright white pleated satin, and an under-layer of red pleated satin, over a baseboard to hold shape. Bow style shawl constructed from matching white pleated satin. 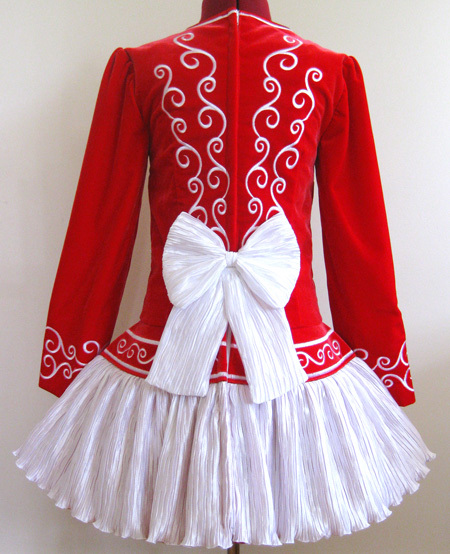 Red and white striped skirt lining.